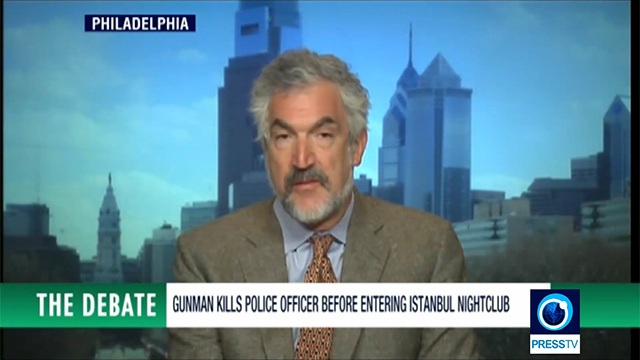 Daniel Pipes appeared on Iran's state-owned Press TV with Lebanese political commentator Marwa Osman, host of the political show "The Middle East Stream" on Al-Etejah English Channel, to discuss the day's attacks in Istanbul. Moderator: Out of Philadelphia, the president of the Middle East Forum, Mr. Daniel Pipes ... Why do you think there has been such a rise in terrorist attacks in Turkey? Daniel Pipes: I agree with the speakers earlier in the program, who said this is in large part blowback from Turkish support for Syrian Sunni jihadis. I'd also add a second factor, which is that for domestic political reasons, President [Recep Tayyip] Erdoğan decided to turn against the Kurds and the peace process that was taking place with the Kurds, and has virtually declared a civil war against the Kurds in southeastern Anatolia. Between these two – the Sunni jihadis and the Kurds – he has two major insurrections on his hands. Now, conveniently he blames this on the Hizmet movement – the movement of Fetullah Gülen – but there's no indication that I've ever seen that suggests that the Gülen movement is actually behind violence. It is the jihadis and the Kurds – both problems created by Erdoğan himself. Moderator: Mr. Pipes, some analysts say that in reality now that Turkey has allied itself with Russia in coordinating a ceasefire in Syria, that this is one of the main reasons that Ankara is being attacked, because of messages being sent to Turkey. Your take on that side of things. Pipes: I think we're all in agreement that the earlier, enthusiastic support for Daesh (ISIS) and other Sunni jihadis, I still use that term, has now come back to haunt Mr. Erdoğan , because he's having to appease Vladimir Putin. He made the big mistake, a bit over a year ago, of shooting down a Russian military aircraft, paid a heavy price for it, apologized six months later, and now he's doing his best to be on good terms with an even bigger bully than himself, namely Mr. Putin. So, you have contradictions within Turkish policy on Syria. On the one hand, wishing to support Daesh and the Sunni jihadis; on the other hand, wishing to be on good terms with the Russian government. The result is that everyone is pretty much mad at him, and one symptom of that is the kind of violence we see over and over again. There has been roughly one major attack in Turkey every two weeks throughout 2016. And within a couple hours of 2017, more attacks. So Turkey is now open to this kind of violence, and it's hard to see how the government can stop it. It has unleashed these forces, Kurdish and jihadi, that are now out of control. Moderator: ... Turkey almost seems to be playing both sides. On the one hand, we see it opening borders to these terrorists ... [and] continually trying to support the overthrow of Syrian President Assad. ... And now we see sort of a different take going on. What do you think is going on? Is this a sincere change? Has Turkey actually shifted its perspective in dealing with this or is there something else going on? Pipes: I think it's quite clear that Turkish government policy vis-à-vis Syria changed after the reconciliation with Moscow. And the Turks are now halfway towards Moscow, so, as I mentioned before, it's contradictory. But I'd like to take up the point that Ms. Osman made – that basically it's the United States and Israel that are behind what's happening in Syria. I find it fascinating to learn from her that Israel, a country of eight million people, is running the show in Turkey, a country of almost 80 million people, that Erdoğan who has shown great hostility to Israel is, in fact, a puppet of Israel. That the U.S. government, which everyone can see over the past eight years has been extraordinarily weak – just recall President Obama's declaration of a red line and then within days retreating from it. The U.S. government has left the field to the Russians. Osman (interrupting): What are you talking about? Pipes: ... governments that are behind this. That's what's so fascinating about coming on PressTV is to hear these extraordinary theories coming out of Beirut. Osman: What's fascinating is that you are astonished by that fact. Pipes: Extraordinary. Please tell us more. Pipes (interrupting): I live in a parallel universe, I see. Osman: ... having their A-10 planes all over the place, over the desert in Syria and Iraq watching the convoys come into Syria, then you have no idea what's going on. If this is not the case where [U.S. Secretary of State John] Kerry was stopping the negotiations, whether in Geneva I, II, or III. Pipes: I'm not sure if you're aware, but American planes have been attacking Daesh. Moderator (abruptly): Ok, stay with me both of you. Stay with me Mrs. Osman and Mr. Pipes. We're going to cross over to our Facebook page. Let's see what some of our viewers. Moderator: "Well, you heard some of those comments. What do you make of them? Mr. Pipes, one of our viewers said that basically what is happening is blowback actually from the United States, from Saudi Arabia, from Israel because now Turkey is trying to get closer to Moscow. Your take on that? 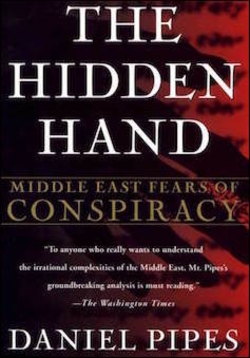 Pipes: Well, you know, I wrote a book 20 years ago called The Hidden Hand about the role of conspiracy theories in the Middle East. What we see here is a perfect example of that. Clearly the Turkish leadership is making its own decisions, the Iranian leadership, the Russian leadership, but it always comes back to three countries, the American, the British, and the Israeli, that somehow or other, manipulate what's going on, as though the Middle Easterners, the Russians, and others, are just puppets at the hands of Americans, Britons, Israelis. Pipes (interrupting): I think we are talking about an explosion. We're talking about an attack on a Turkish nightclub, and you're talking about the Balfour Declaration. Really, I don't understand what you're doing. Osman (interrupting): Mr. Pipes, regime change does not have anything to do with this whole picture, as we know coming out of the United States, which were said that seven countries in five years basically, that that was the goal of the United States, basically, it definitely seems like a destabilization project. That now we are seeing the results of this. Go ahead. Pipes: So the whole Arab revolt of the last seven years is due to the United States? Really? The whole? Tunisia, Libya, Yemen, Egypt, Syria, and Bahrain, all this is due to....every decision is made in Washington? Hey, Middle East! Wake up! Libya, you made your decisions. Egypt, you made your decisions. Yemen, you made your decisions.